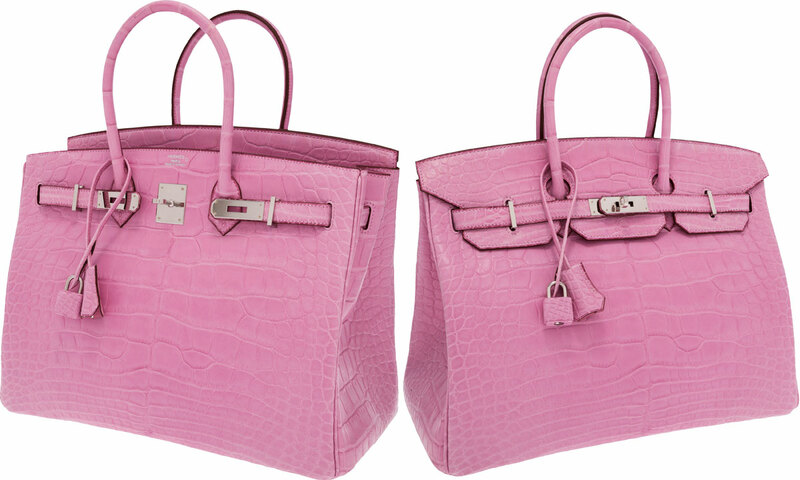 Heritage Auctions offers premium bags and accessories through their impressive live ‘Signature Auctions,’ as well as through the internet to their bidder-members with weekly Luxury Accessories Auctions. 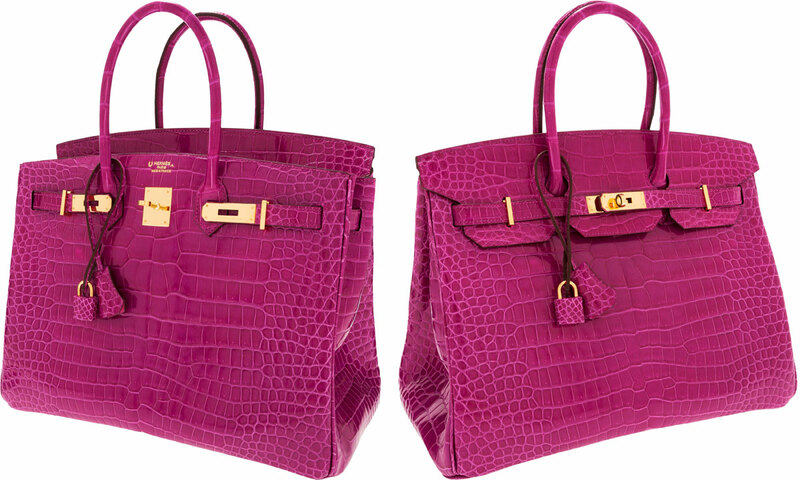 These auctions are comprised of upwards of 20 designer new and vintage pieces with no reserve. Over 700 most exotic items will debut on April 28 at the Fletcher Sinclair Mansion in New York, following previews in Beverly Hills and Dallas. 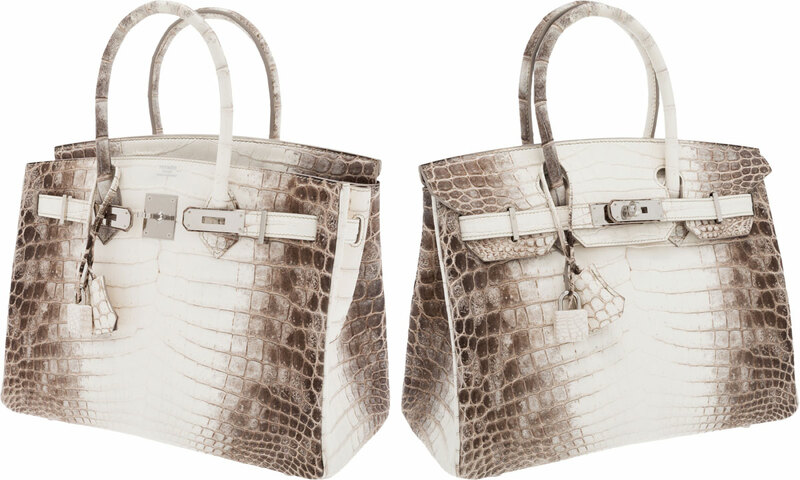 Some of the most interesting bags certainly are: a rare Hermes Extraordinary Collection 18cm Diamond Blue Jean Porosus Crocodile Double-Gusset Constance Bag with 18K White Gold Hardware (starting bid $40,000); an Hermes Ultra Rare 30cm Matte White Himalayan Crocodile Birkin Bag with Palladium Hardware (starting bid $40,000), an Hermes Horseshoe One of a Kind 35cm Shiny Rose Scheherazade Porosus Crocodile Birkin Bag with Rose Tyrien Interior & Gold Hardware (starting bid $40,000) and an rare Hermes 35cm Matte Pink 5P Alligator Birkin Bag with Palladium Hardware (starting bid $40,000). Other notable pieces include a rare 1960s Bulgari Stunning 18K Yellow Gold Melone Minaudiere Evening Bag with a 1.21 carat round diamond clasp (starting bid $25,000), a Chanel Blue & Silver Crocodile Paris-Byzance Collection Gripoix East West Flap Bag (starting bid $4,000), straight from Karl Lagerfeld’s Byzantine aesthetics-inspired Runway Collection, and an exceptional Chanel Natural Lizard Jumbo Double Flap Bag with Gunmetal Hardware (starting bid $1,500). 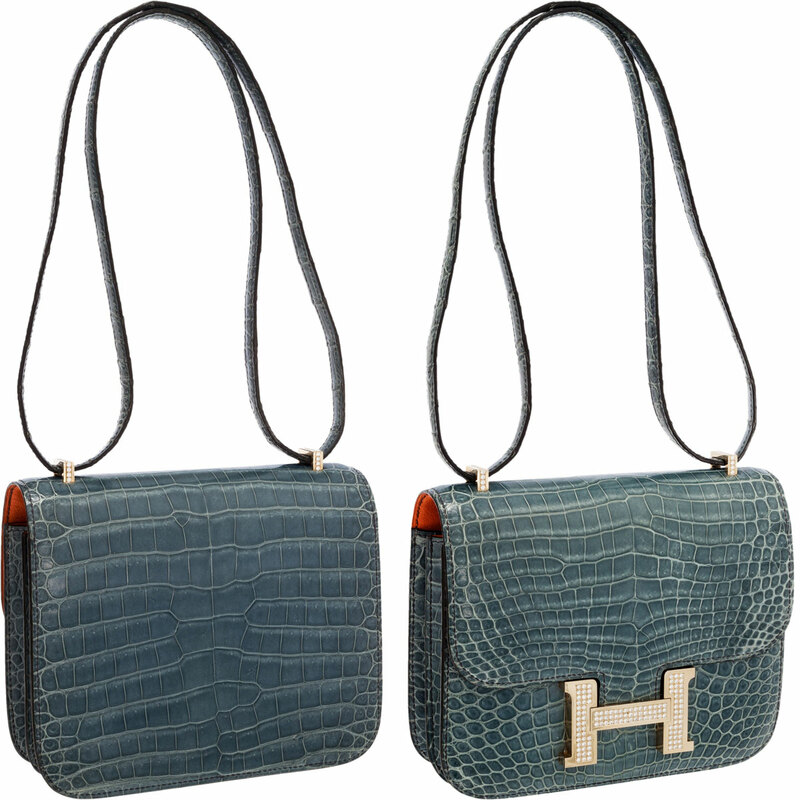 I have a original HERMES VINTAGE Crocodile skin Constance bag just like the one on your website and wondered if you would be interested in buying. I would welcome the opportunity to email photos if interested.